Gerald - Gimmel, Weiman, Ersek, Blomberg & Lewis P.A. Gerald K. Gimmel is active in estate planning, estate and trust administration, business, and corporate law and has been assisting clients for more than 40 years. He has been recognized as a “Super Lawyer” in both the Maryland and Washington, D.C. areas since 2007 in the areas of estate planning and probate. 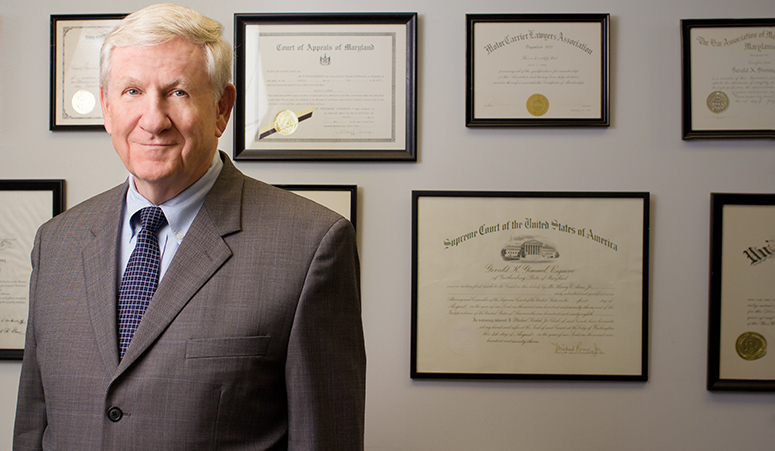 Jerry’s experience as an estate planning attorney has resulted in his being requested to speak to many groups including retirement communities, charities, civic groups, numerous government agencies, and several conferences of the Federal Bankruptcy Judges. A graduate of Georgetown University Law School in 1967, Jerry is admitted to practice in the U.S. Supreme Court, Maryland, District of Columbia, and Federal District and Appellate Courts. He is a past President of the Montgomery Village Rotary Club, past Chairman of the Gaithersburg-Germantown Chamber of Commerce, and served on the Board of Directors of Hospice Caring, Inc., since 1991 and from 1998 to 2002 as its Chairman. Jerry is an active member of the National Academy of Elder Law Attorneys and appears before the Orphan’s Courts in Maryland, in cases involving estate and probate issues. He has been a member of the Montgomery County Bar Association since 1973, has participated in its Estate & Trust Law Section. Jerry is also active in business and corporate law. He serves as general counsel, legal counsel, and business advisor to many local and national companies. Jerry is involved in establishing new businesses and in assisting existing business clients with the growth and management of their companies. This includes the negotiation of contracts, handling personnel matters, drawing up Buy-Sell Shareholders Agreement and preparing contracts to buy or sell a business. Repeatedly named “Super Lawyer” in the field of Estate Planning and Probate in Maryland and in the District of Columbia Metro Area since 2007. City of Gaithersburg proclaimed September 1, 1998 as “Jerry Gimmel Day”in honor of Jerry’s 25 years of legal practice and service to the Gaithersburg community.